← Happy birthday, Janet Whitcut! “True, [the flooding] helped duck and geese populations, but it also drownded [read drowned] millions of other living creatures who weren’t favored targets.” “Hunters Are Not Really a Tool of Nature,” Buffalo News, 14 Feb. 1993, at 8. I checked the Corpus of Contemporary American English as well as the Corpus of Historical American English, and found 17 instances in COCA (all of them either classified or classifiable as fiction or spoken usage). COHA produced 169 instances, though with peaks in the 1880s and 1920s and only single instances for the 1990s and the 2000s. (Which raises the question of whether COCA is included in COHA – probably not given the respective sizes of the two corpora.) If usage is rare today, why did Garner include it? If usage is indeed dialectal, as he suggests, it need not be a usage problem, so why? How about British English then? The British National Corpus includes five instances, three from dialect produced in fiction, one from real speech and one from children’s writing. Is drownded a form that children produce when overgeneralising irregular verbs? If so, they will very likely get corrected by adults around them. Drownded may be dialectal in British English and characteristic of children’s language, but it is not a usage problem. The novel is written in the form of interior monologue, either in the protagonist’s head or on paper, as a diary. The old farmer isn’t given more than one or two lines of speech, but evidently, making him say drownded was enough as a linguistic characterisation of this marginal character. In this light it is striking that we find whom all over the place in the novel – always used correctly, but to my mind the form a bit of a stylistic incongruity, and I stumbled over it every time. I’m interested in literary authors’ awareness of issues of prescriptivism. Would the novel’s copy-editor have had a hand in this or is this Banville himself? simple past tense and past participle of drownd (Wiktionary): so a new verb is born, to drownd! Same thing as drowned, hick style. (Urban Dictionary): hick is defined as “A derogatory slang term for lower class whites raised in rural areas, usually within trailer parks or hog farms. Generally used more for Midwesterners than Southerners” (also Urban Dictionary). Dialectal, in other words, socially as well as geographically. Is drownded a word? (English Language & Usage, a self-moderated blog): interesting discussion, which draws on the OED and produces a Google N-gram image showing the “heyday” of drownded as coming between 1850 and 1950 (compared to drownd, past tense, I suppose). What do readers of our blog think? Is drownded a word, should it be treated as a usage problem in British English, too? Do we hear it more today, as the person raising the question on English Language & Usage says? Was Garner right in including (and proscribing) the form? This entry was posted in usage features and tagged Bryan Garner, drownded, John Banville. Bookmark the permalink. I immediately thought of Thomas Hardy and if you google ‘Thomas Hardy drownded’, you’ll find he did indeed use it for his rustic characters in at least one short story. In fact, I think it’s used for many dialects in the south of England. Definitely Surrey (and the west of Kent and northern Sussex), listed here as an example under ‘Dialect syntax’. Of course, I’m pretty sure a lot of people just use it for comic effect when they want to use a rustic accent, but that idea must have come from somewhere, so dialect seems the most likely place. Yes, excellent! Thanks for this. It took a while for me to work out where The Blue Guitar was situated, but Banville refers to living close to where Cromwell rallied his army, so I imagine it may have been around the area of Norfolk, Cambridgeshire. But maybe it is just used as you say as an iconic dialect marker. I also googled ‘West Country drownded’ if you need to find more. I’ve heard “drownded” and “drownding” in Utah. They’re not common, and I couldn’t say whether “drownd” is on the rise or not. I’m not surprised that it’s not covered by most usage dictionaries, though. The kind of person who buys a usage dictionary is probably not the sort of person who says “drownd” in the first place. My wife (born in urban North Carolina in 1943, but living in NYC for decades) says drownd but not drownded. For her, the preterite of drownd is drownd (or drowned, depending on how you look at it: you can call it suppletive or invariable, it doesn’t matter). Huckleberry Finn is big on drownded: 18 instances of drownded, one of drownd, two instances of drown (both in dialogue when someone other than Huck or Jim is speaking), none of drowned. This is really interesting. 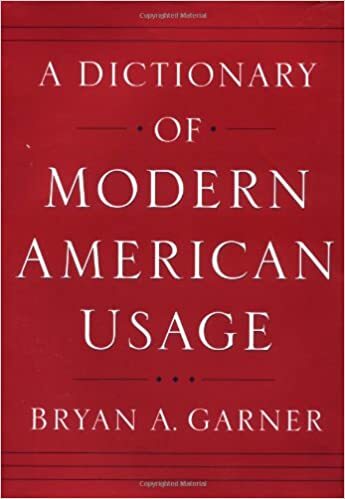 I had been wondering why Garner included drownded in his Dictionary of Modern American Usage: it may because of Huckleberry Finn! That would explain it. Thanks for this, John! Or it might just be that (like most usage-book authors) he copies his topics from earlier books, which copy them from even earlier books, and so on back to the 19C or even before. I have never read Garner, so I don’t know if he actually does this. That is the case, too, but dr0wnded does not occur as a form in any of the other usage guides in the HUGE database, so I think this is Garner himself at work here.